We'd like to share some great news from Shopventory! Shopventory, a leading provider of inventory management and optimization solutions for medium to small size businesses, announced today its acquisition of certain assets from Minneapolis-based Otterology. Shopventory has acquired the Otterology service, its customer base and various other related assets including Otterology trademarks and associated Internet domain names. 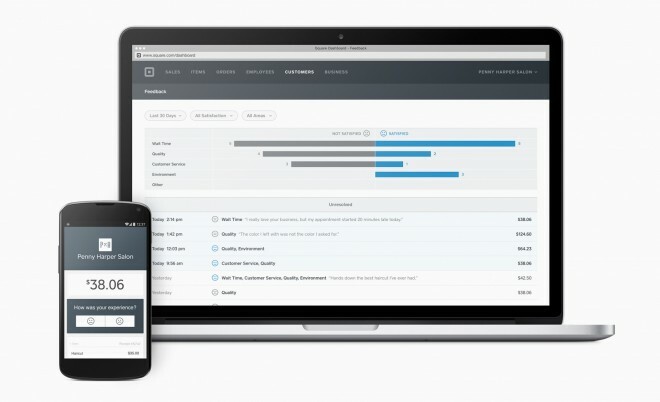 "Shopventory's success in helping SMB's optimize their inventory management while saving time and money has led to our rapid growth and positioned us as one of the leading inventory management solutions for retailers leveraging the power of Mobile Point of Sale (MPOS)," stated Dave Carlson, Shopventory Co-Founder and CEO. "Our client-centric service and return-on-investment focus for our customers put us in position to acquire the assets of Otterology." Your support over the past two years helped make this possible. Keep the suggestions and feedback coming. We sincerely appreciate your ideas and input. We have some exciting plans ahead and this is just the beginning. That moment when you're staring at your computer obsessing about lunch just got a little more exciting. 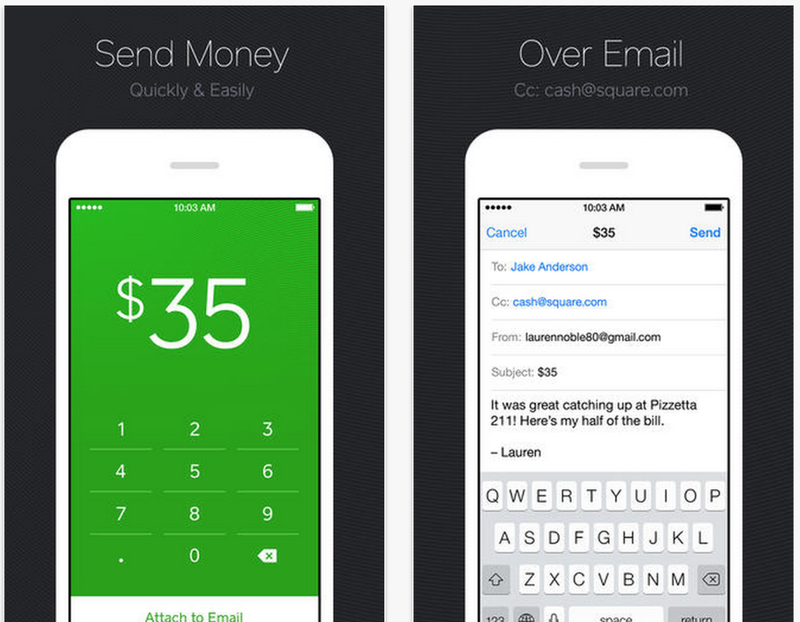 Square may have just dropped Wallet from the app store, but also launched a new one called Square Order. 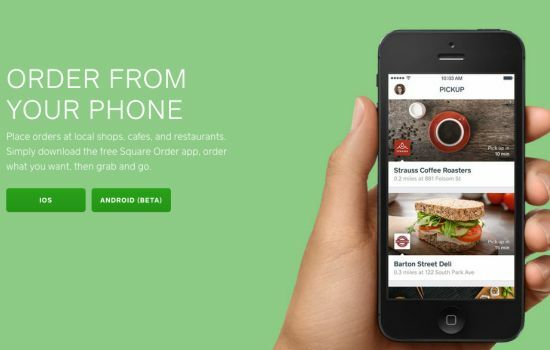 This restaurant app allows you to browse merchants near you, find out estimated wait times, put in a takeout order, pay for it using the credit card linked to your account, enter a tip and receive a ping when your order is ready to be picked up. Before you get too hungry (or hangry), we should let you know that Square's new Square Order app is only available in San Francisco and New York City. The iOS app is available for download now, with Android still in beta testing. Currently, the takeout options are just a hint of what could come. The app allows users to suggest new restaurants, meaning that there may be quite a bit of change in that area. A reporter for the SF Weekly noted about 35 options at the time of her order, ranging from boutique bakeries to Whole Foods. 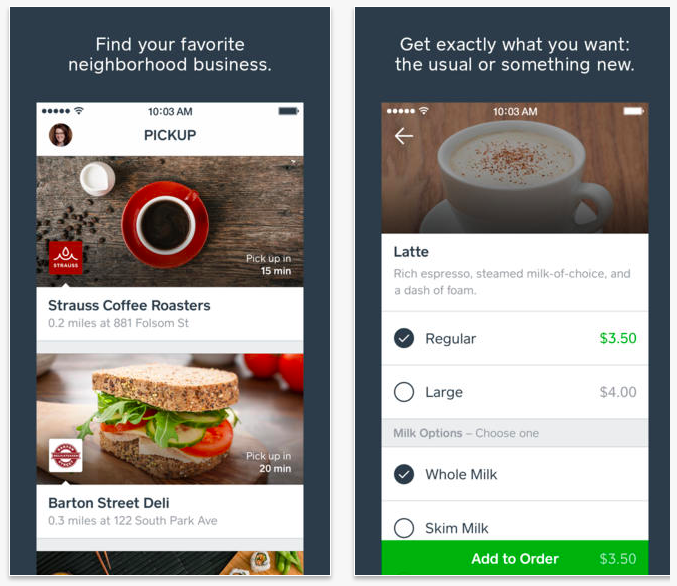 Similar on-demand food products have been emerging left and right in recent years, both in the app store and online. Various rapid delivery services, seating wait lists and others are trying to take a bite out of the food industry, so we'll be interested to see how Square Order fits into this tech space. Many of said apps haven't made it out of the Bay Area, but we'll be waiting (impatiently) for at least a few of them to launch in Southern California. If you're based in the SF or NYC market and interested in getting your restaurant listed on Square Order, we'll be blogging about the setup process in another post soon. Summertime is the perfect time for pop-up shops. With everyone out shopping and dining, putting up your own pop-up shop in the midst of this traffic can help you sell more this season. Here are some tips to set yourself up for success in your pop-up endeavors. Festivals, fairs, and exhibitions are consumer treasure troves for pop-ups. Manning a pop-up shop at one of these can wrangle tons of customers and keep them coming back for more once the event is over. Summer is the perfect time to set up shop at these events, but how do you find out when and where they are? For example, if your business is selling a product-line of yoga pants, so your target crowd will most likely frequent healthy lifestyle festivals. Check the local Chamber of Commerce websites for festivals and fairs or alternately, use BizTradeShows.com to find tradeshows you can participate in. 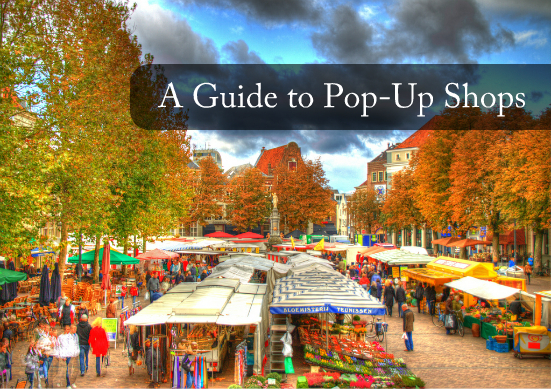 Pop-ups are short-term, and you should use this fact to your advantage. Landlords would rather have their spaces filled than vacant for a lot of reasons. Reach out to any unfilled locations and negotiate with the landlord; it's possible you may not have to pay rent aside from utilities (water, electricity, Internet, etc.). See if you can work out a deal with mutual benefits. Once you've found the perfect location, make sure your budget can handle any other fees. Business rates and insurance are some to keep in mind. Sidenote: If you reside in the UK as a vendor, Appear Here is a handy tool for looking up landlords listing vacancies for pop-up shops. It may not be readily obvious but pop-ups are a great way to test out whether the new merchandise will be successful. If you made an ideal customer profile and selected a relevant event to participate in, you get to observe the purchasing behavior of people who share essentially identical characteristics to your usual customers. Use pop-ups shops to check whether your gut feeling about pricing, merchandise or package deals are validated by customers. 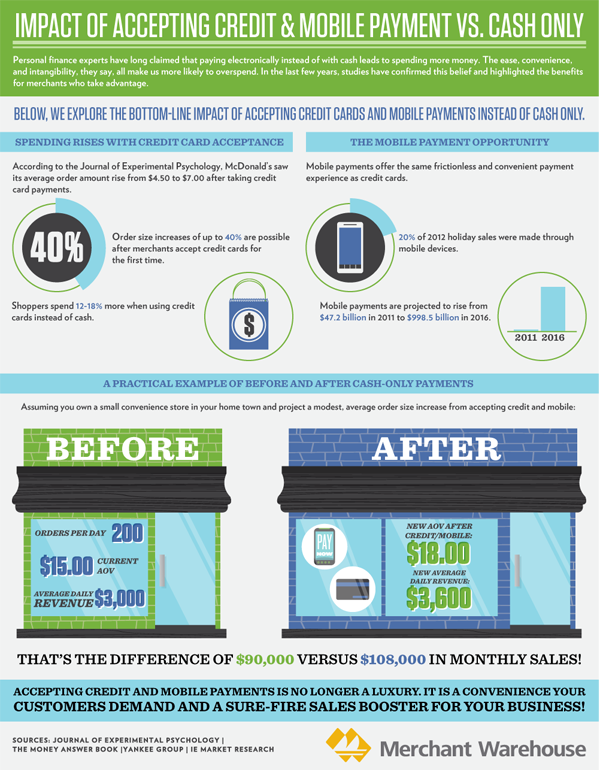 The days of paying with cash are dwindling and almost everyone pays by card now. Make it more convenient for yourself and your customers by getting a mobile card reader (ie. 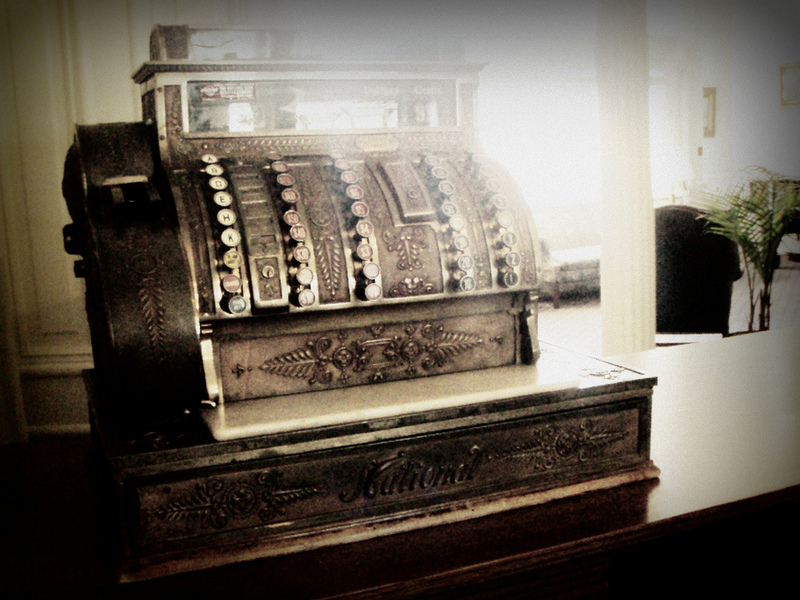 Square, Intuit GoPayments, or PayPal Here). It works with your Apple or Android smartphone and tablet, processing cards quickly and easily. It will save you a ton of time and hassle, plus your customers will find it convenient. If you already have a strong customer following through Twitter, Facebook, Pinterest, Instagram etc., flaunt your pop-up initiative. Tweet your location and any specials to get them into your shop or to visit the festival you're selling at. It should NEVER matter whether or not you have followers. You're never too early to start telling your story, sharing your experiences and building up a brand. Get on your social networks, start listening to what people are saying and get in on the conversation. 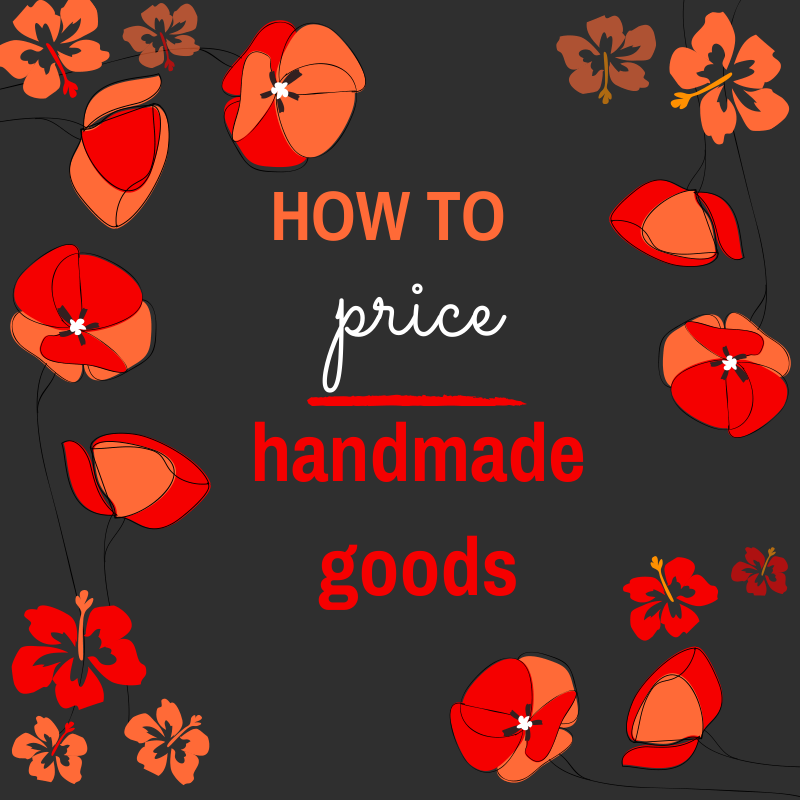 Put thought into how you're going to attract customers to your stall. It could be simple, such as through great visual merchandising or it may involve more such as having giveaways. Add splashes of color, movement, lighting, music, or aromas to make your pop-up memorable and welcoming. Running a pop-up shop can be a labor of love. Yet with the right preparation, your pop-up can flourish wherever you plant it. Best wishes! 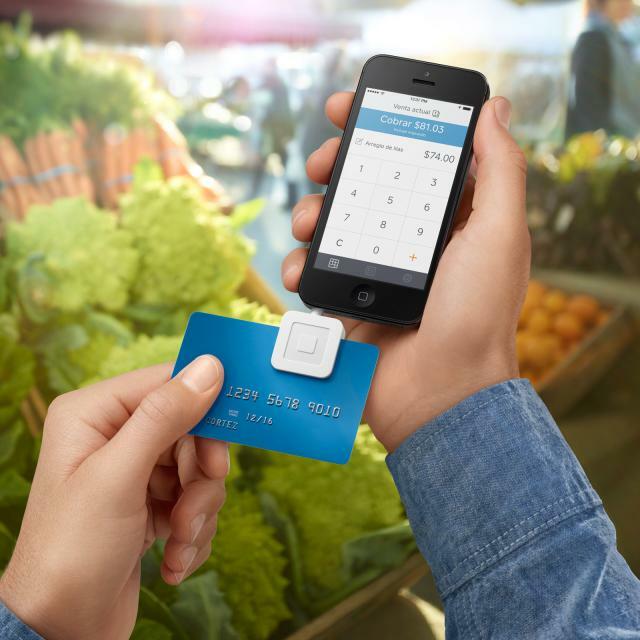 Square has proven itself to be the proverbial double-edged sword. The entire purchasing experience is curated through the Square Wallet mobile app, which gives customers the ability to buy store gift cards from anywhere and saves store owners the hassle of having to buy custom designed gift cards. Theoretically, it’s a great system. 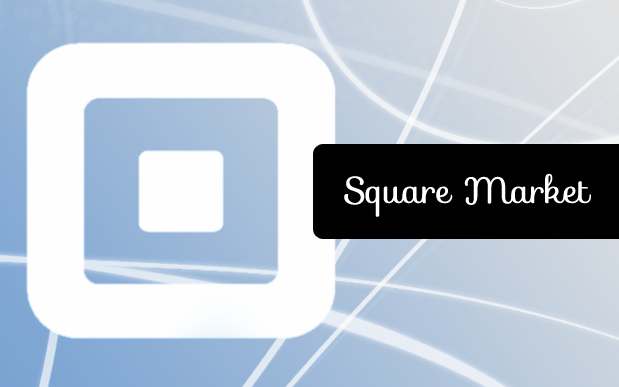 But it’s a huge drawback if customers don’t have Square Wallet installed on their smartphones. The Square register doesn't currently have a gift card “option” either. So are store owners hopeless with selling their own gift cards with Square? 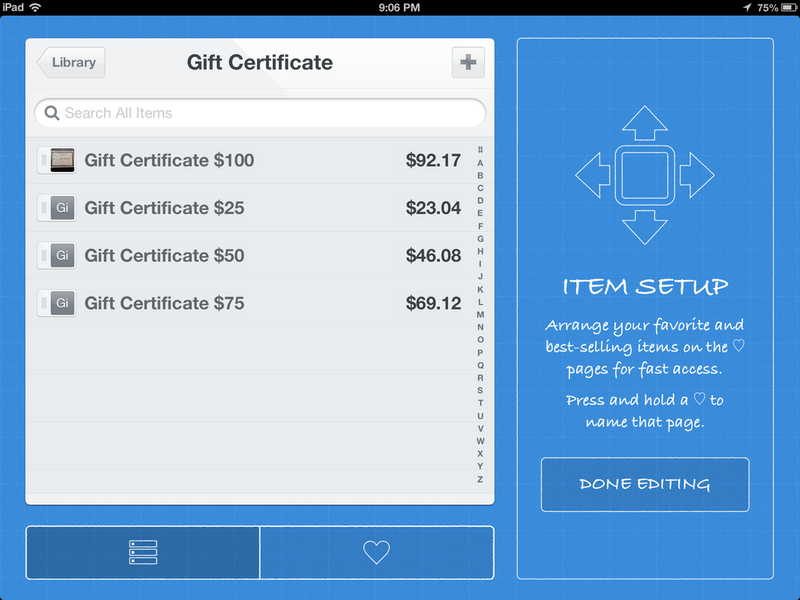 You can bypass Square Wallet by simply inputting gift cards as part of your inventory. 1) Sales tax is automatically tacked onto all inventory in Square. 2) Discounts are accounted for before tax is applied to the purchase. Simply add the sales tax upfront. To do this, price the gift card for its face value (a $25 gift card costs $25) and have the buyer of the gift card pay sales on it. When the gift card is redeemed, you can add the full face value to the discount. Price the gift card at less than face value so that when sales tax is added, the final cost of the gift card is equal to its face value. When the gift card is redeemed, reimburse for the pre-sales tax price of the gift card. This effectively taxes all the items which were purchased by the gift card rather than the gift card itself. Confused? Here’s an excel spreadsheet that takes care of it for you. 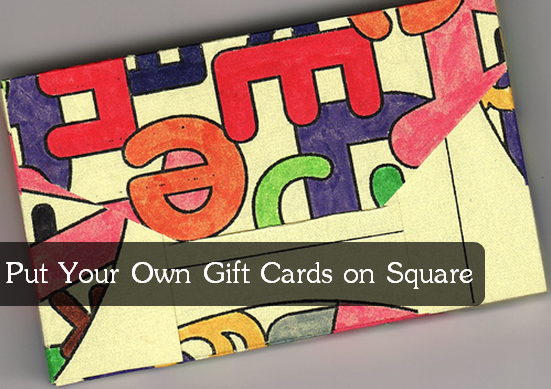 Some math is required, but hopefully this explains how to sell your own certificates and gift cards with Square. Let us know in the comments if you've found other ways of selling your gift cards!